Do you have a mobility strategy? We’ve been talking about mobility around the office lately, particularly how it impacts school wireless network design and the constant efforts to bring more and better technology into the classroom. There are so many factors that need to be considered, from what the teachers are asking for, the goals of the curriculum, what types of devices are going to be used, the layout of the school, security, budgets, it goes on and on. Someone during this rather passionate discussion posed a good question, where do you start? 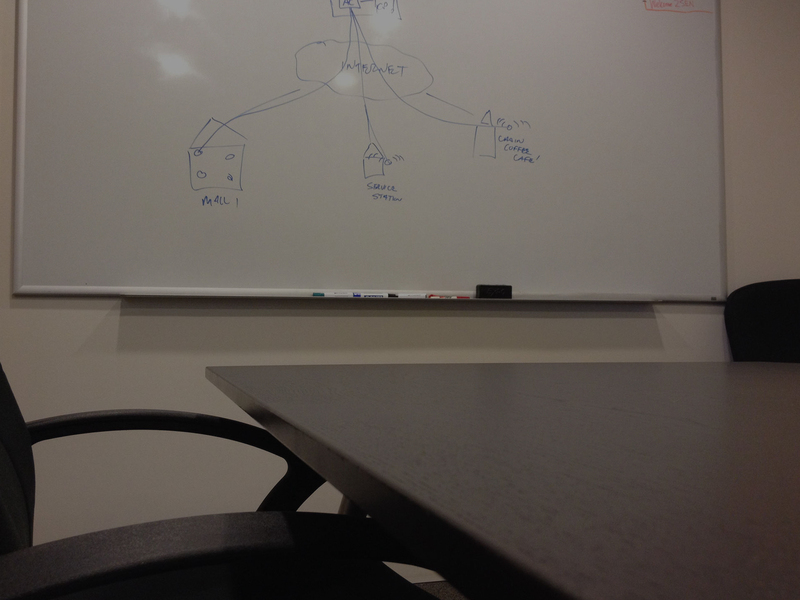 About an hour in, a pot of coffee and two whiteboards later an idea was born. Let’s do a webinar. I know, an hour to decide we need to do a webinar, yes. Our goal was to layout exactly why schools needed a mobility strategy and just as important how to do it. The best way to get this across was to showcase an example of a school that had gone through the process and was now properly and successfully mobile. Charlotte Latin School was just that school. We invited the Director of Technology, Guy Ben-Eliyahu and Senior Network Systems Administrator, Brian Sossamon to join us on the webinar to walk us through their entire mobility strategy. How they started, why they started where they did, and how other schools can accomplish a high level of success with their own mobility strategies. The 45 minute long webinar had far too many takeaways to fit everything into a single blog post, but described below is a good overview of some of the highlights. Good news is that you can re-watch or listen to the webinar here anytime you want! 1. Defining Mobility - There are slightly different interpretations of what mobility is. However, at it’s core mobility is enabling mobile devices access to communication and information through wireless technology (most importantly) anytime, anywhere from anyone on any device. Guy (IT Director) from Charlotte Latin School said for them mobility is, “Making technology accessible for our students and faculty inside and outside of the classroom and enhancing the curriculum with technology.” Ultimately mobility allows for maximum flexibility both for students, teachers and even parents. 2.Mobility Challenges - One of the biggest goals or challenges that Charlotte Latin has, is having the ability to support anything that comes onto their environment regardless of a platform. In addition to this is a unique perspective of allowing as much academic freedom as possible. The obvious challenge being security and infrastructure. RELATED | "11 Features to Look for in Your Next Generation Firewall"
3. Planning Checklist - When planning for mobility, success is dictated by exactly how well you plan. 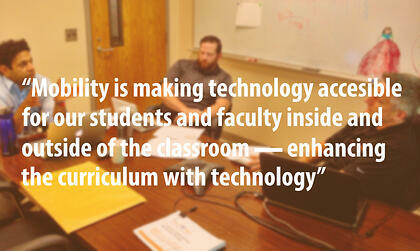 Aside from defining clear goals to support the needs and wants from the students, faculty, and curriculum. Ask yourself detailed questions like, how many users will be online at the same time, how many devices will be connected to each access point, what are the in-house resources you’re allowing (printing, storage etc.). Take stock in what you currently have and then plan by where you want to be. 4. How to get started - Infrastructure, infrastructure, infrastructure. This is where any mobility strategy begins, having a solid core and the right amount of bandwidth among other factors are critical to proper mobility. It allows you to pivot when deciding on different technologies such as implementing iPads in the classroom. Now when it comes to program selection your infrastructure allows you the flexibility to choose what fits best. You can't mention mobility without talking about security, the types of users, the types of devices and applications all rest on a foundation of security. For Charlotte Latin they implement security in many ways, one of which requires usernames and passwords, you have to be within their group for full access. Their guest network is limited in bandwidth, by what applications you can run and is separated from their internal network. Another major and simple security method deployed at Charlotte Latin that can’t be overlooked is education. Both Guy and Brian educate the students, the faculty and parents. The goal is to make it a collaborative community. Everyone in their community knows the standards or code of conduct such as digital citizenship. 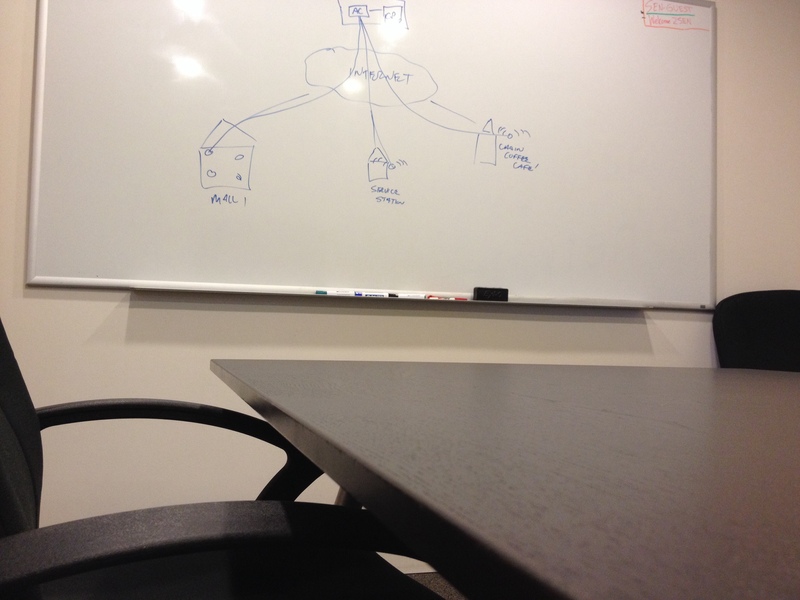 From a whiteboard session to successful webinar, mobility strategy how-to, done. 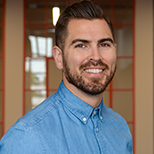 Watch the webinar to hear exactly from Guy and Brian how they are getting it done with mobility. It doesn’t happen overnight but with the proper planning your school wireless network can be ready for today and what lies ahead. If you have questions please contact us at anytime, we’d love to talk about how we can help. Watch it again or for the first time. Check out our latest webinar, "Creating & Implementing My Mobility Strategy".